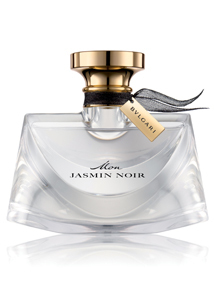 BVLGARI is about to launch its latest fragrance Mon Jasmin Noir. The ingredients of Mon Jasmin Noir combine to create a floral, feminine fragrance with top notes of golden cedrat and fresh muguet. Mid-notes are made up of sambac jasmine absolute and angel wing jasmine, while notes of cashmere, cedar and patchouli are featured at the base. Mon Jasmin Noir is exclusively available from Debenhams from 2 May and then from selected department stores Nationwide from 16 May. Jasmin Noir will be priced at £34.00 for 25ml, £55.00 for 50ml and £70.00 for 75ml. The new fragrance will be supported by an advertising campaign fronted by actress Kirsten Dunst.